From the dinner table to your game table, this Fishin' Saltwater card and game set is a great gift for anyone who drops a line in the ocean. From both coasts of the United States, the six species of fish featured in this set are found from the tip of Florida to the coastline of Washington and beyond. 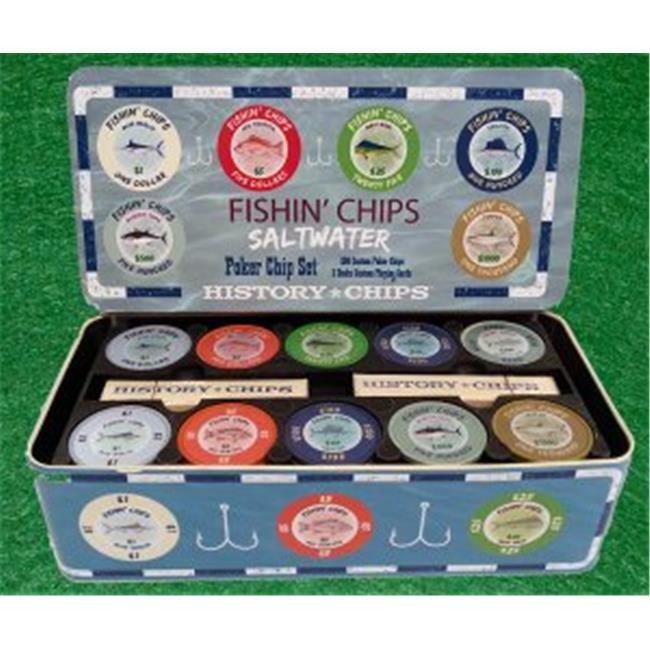 The combination of game and trophy fish makes this Fishin' Saltwater package the perfect card and chip package for part time beach casters and deep sea professionals. 3-5 players.